Contour powders have definitely grown on me over the years. I was never a fan of contouring because I felt it was unnecessary, looked unnatural and was too difficult to master. There has been a bit of a contour craze over the past year, but the best thing to come out of it has been better products with improved quality, texture and shade offerings. I prefer to only contour my cheeks but occasionally may do a bit of my forehead. Rarely will I add in my nose or jawline because those are a few too many steps that seem superfluous to me. I have been testing out these two formulations from By Terry and Marc Jacobs and was very impressed. Plus they are perfect for fair-skinned gals. 1. By Terry Densiliss Contour Powder in Rosy Shape and Fresh Contrast - First of all, I LIVE for the By Terry brand so I could not get these out of the box fast enough. This blush in Platonic Blonde is a holy grail from them, this loose powder is my mattifying miracle, I wear this shadow stick in Bronze Moon non-stop and of course this cult classic is a regular in my skincare routine. The formulation of these contour powders is as finely milled as the blushes, so I knew they would be divine on the skin. They feel like satin to the touch and blend flawlessly to the point that it doesn't even look like powder on the skin. I was happy to see a contour combo that didn't include a standard brown shade, because I enjoy creating some dimension with blush tones. I used the Rosy Shape duo as more of a cheek color - applying the paler shade on the actual cheekbones and then popping the apples with the deep coral. And recently I've begun swirling them together and loved the gorgeous flush it gave my cheeks. Fresh Contrast is a more stereotypically contour combination, and the brown shade is so easy to apply without worrying it will be too dark. 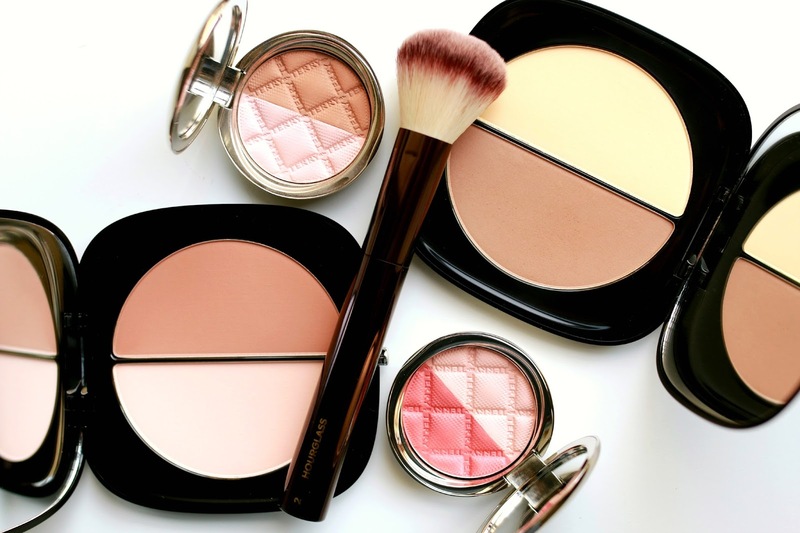 The pale pink is a gorgeous finishing powder/highlight on the tops of the cheeks/cheekbones. My only gripe (and it pains me to even say it) is that the packaging is so small so you have to have a very small brush to be able to get each color separately. But the formulation and colors more than make up for that. 2. Marc Jacobs Light Filtering Contour Powder in Dream Filter and Mirage Filter - Where the By Terry was lacking in size, these powders from Marc Jacobs swing to the other end of the spectrum. They are HUGE! I love the idea of a powder that gives the effect of an Instagram filter - Valencia forever! The texture of these powders are extremely soft and almost suede-like to the touch. Upon first swipe with my brush into the compact, I was expecting a ton of powder to be picked up and was surprised to see that was not the case. Both brown shades in Dream Filter and Mirage Filter are a bit cooler than the By Terry Fresh Contrast but not too gray that it makes the skin look dull. 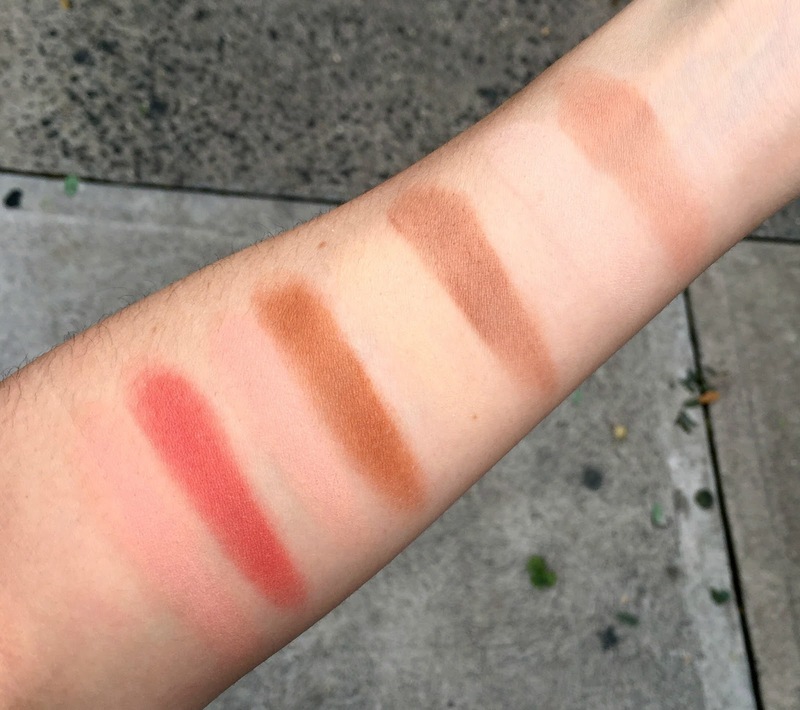 Mirage Filter is a bit deeper and I have actually began using it a bronzer because I love the look. As far as the pale shades in both palettes, I have found my new favorite finishing powders. I have been using both all over the face to give a slightly perfected and filtered look. They blur imperfections and give the skin a beautiful matte finish. What contour powder are you currently loving right now? Leave me a comment below! I've been looking at those By Terry compacts for a while now, they look so beautiful on the skin! I might have to splurge on them!